Isn't Barry Melrose, and his wind tunnel tested hairdo, returning behind the bench one of the 7 signs of the impending Apocalypse? I mean, it has to be right after locusts and rivers of blood, right? "When The Lamb opened the fourth seal, I heard the voice of the fourth living creature say, "It is done. Barry Melrose is behind the bench in Tampa. Come!" 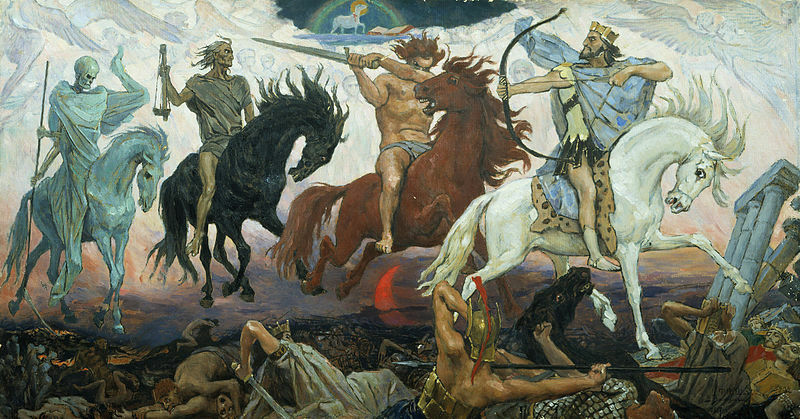 I looked, and there before me was a pale horse! Its rider was named Death, and Hades was following close behind him. They were given power over a fourth of the earth to kill by sword, famine and plague, and by the wild beasts of the earth." I might be a little off on my version of Revelations, but then John was a hockey fan too. While Barry Melrose's fashion choices leave a little to be desired and he is a little too slick for my liking, I am not the advocatus diaboli. It is not my job to take a skeptical view of his character or look for reasons he should not be a bench boss. The Tampa Bay Lightning want a guy with fire to turn things around in South Florida. They just got Steven Stamkos. They still have a young and supremely talented Vinny Lecavelier, fireplug scoring winger Martin St Louis and recent addition emerging netminder Mike Smith, from Dallas. With a little luck and the right coaching, this team could be on the right track in a hurry. In addition, I am sure the new ownership group will want to put their own stamp on the team - and what better way than throwing large buckets of cash at players through free-agency. All of this bodes well for the man behind the pine. However, this flash and trash approach - hiring of Melrose and discarding of Cup winning John Tortorella - has significant risk associated with it. The last time Barry Melrose coached (1995) the criminal trial/circus freakshow of O.J. Simpson was underway and the infamous words, "if the glove doesn't fit, you must acquit" were forever burned into the nation's lexicon. I am not going to pretend to know what it takes to be an NHL coach, but thirteen years seems to be a long time removed from the game. Moreover, in 216 NHL games coached (3 seasons 1992-1995), Melrose accumulated just 82 wins - which works out to be a .448 winning percentage. Yes, he did take the Kings to the Finals in 1992, losing to the Montreal Canadiens in 5, but the fall from NHL coaching grace from then on was precipitous, as he missed the playoffs the following two years. Does Barry Melrose have the "Right Stuff" to handle the pressure of coaching the #1 pick in the draft and one of the elite level players in the game in Lecavalier? Will his car salesman-like demeanor and eclectic wardrobe play in South Florida? I honestly believe that Melrose will be on a short leash with the new ownership and this could prove to be one of the shortest coaching returns in NHL history. On the flip side, however, if he were able to turn the Lightning around and move them back towards the goal of respectability - much like the Flyers did last year - then he has the opportunity to make himself a hero. Much risk but the potential for much reward. I honestly hope things go well for Barry and I wish him no ill will. However, a year from now, the Lightning might feel much more differently about John Tortorella and his body of work than they do today. Does the return of Barry Melrose (and his mullet) to coaching in the NHL signal one of the 7 signs of the Apocalypse? If not, it should. Great job as always SYF. Good one sharks_fan_tim. All bow down and worship SYF!!! And maybe bring a virgin or two to "sacrifice." Just another sign that Tampa Bay is returning to the Davidson Era of ownership. Great read SYF. 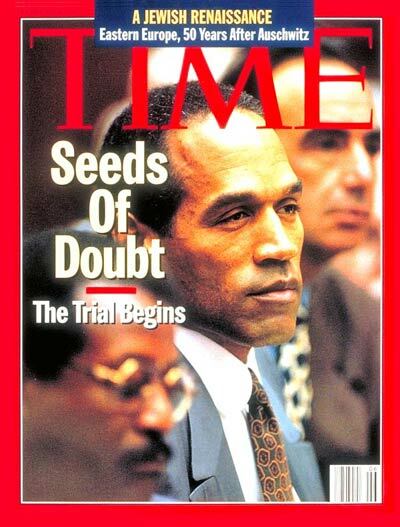 13 years since the OJ trial. Difficult to accept that it's been that many years. J.S. - Could not agree more. Tim - Thanks my man! I wonder since the last 13 years "the Hairdo" has fit all his analysis into 30 seconds or less on ESPN, if he can even still address the team between periods. This is about new ownership getting a person that people might recognize in as a coach for a team that has lost the fan base it built with the cup run. Melrose was never a great coach - his strategy was "go get em Wayne".